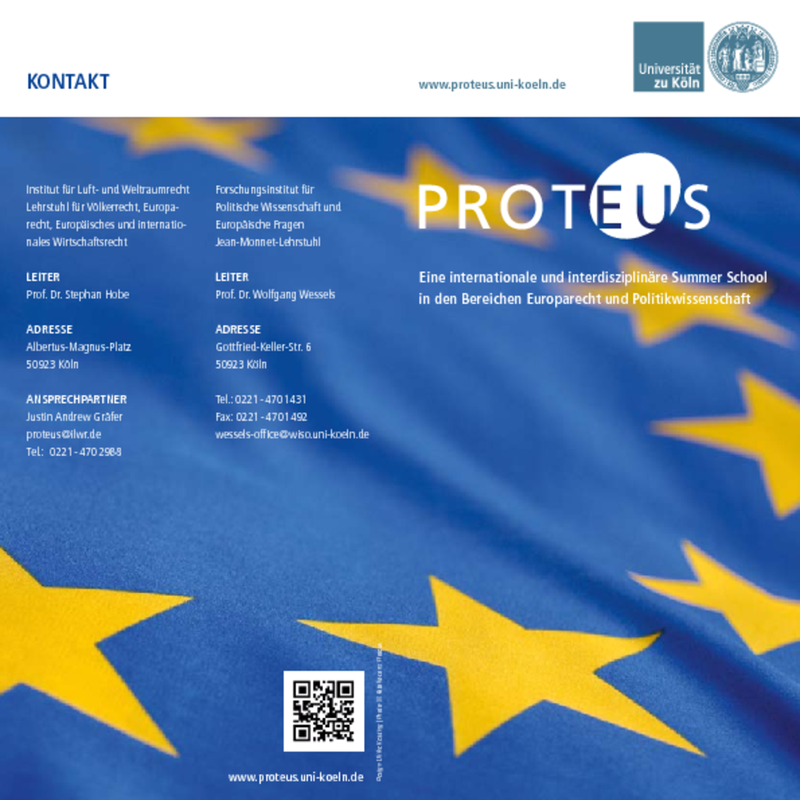 In the year 2017 PROTEUS will be a simulation of a moot court before the European Court of Justice. 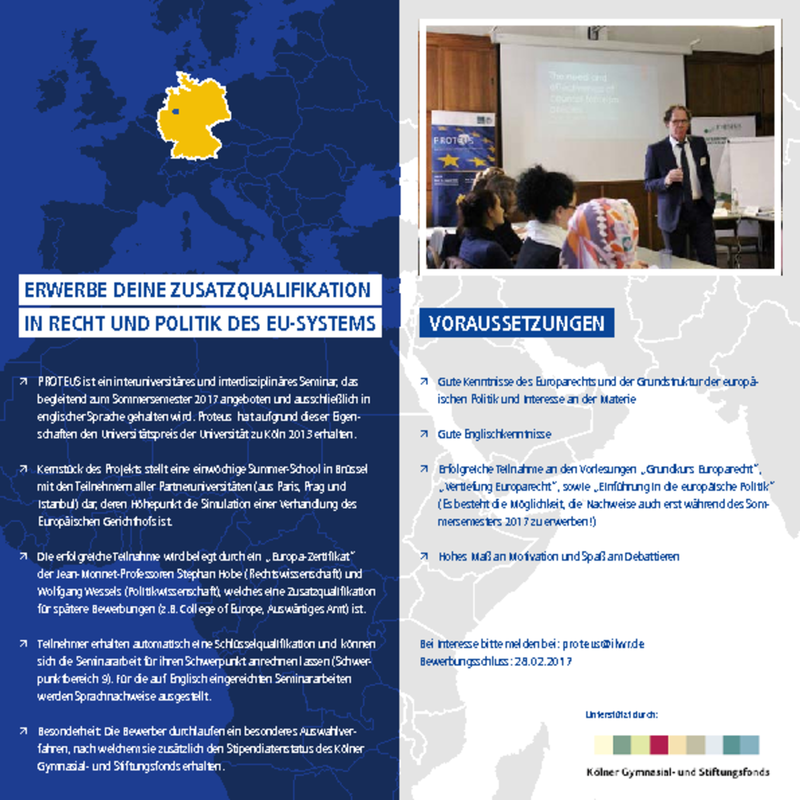 The programme of the project encompasses a preparatory phase and a Summer-School, which is divided into two subsequent training elements taking place in Brussels in the summer semester of 2017. At the start of the summer semester, the students of the University of Cologne will hold an opening session in order to discuss their course of action. International teams will be formed so as to start the preparation for the simulation. In the preparatory phase, the participants will draw their conclusion via e-mail, Skype etc. All participants from the different partner institutions will then come together for an intensive workshop in the form of a Summer-School in Brussels on the topic of the upcoming moot court. During this workshop the students will gain deeper insights into the functioning of European Law and the field of mooting by benefiting from expert talks, round table discussions, visits to the European institutions etc. Subsequent to this preparatory phase the participants will carry out the two-day simulation.